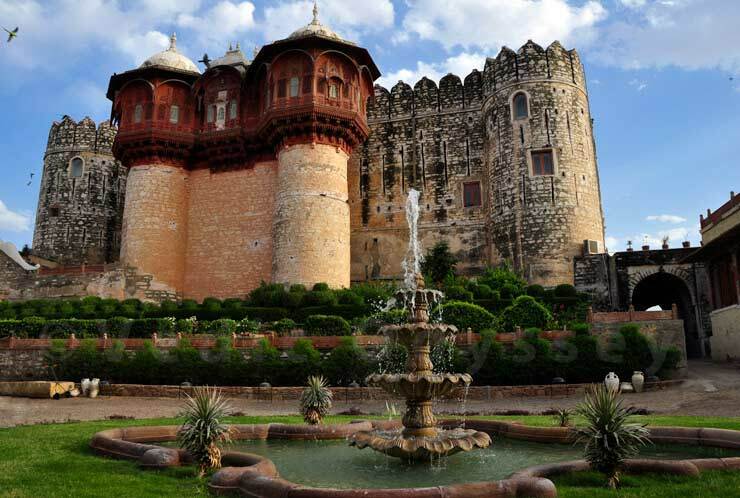 Fort Khejarla in Jodhpur is a huge fort built in the 17th century and made in red sandstone and has been converted into a major heritage hotel. The hotel serves as an exclusive staying point at Jodhpur and also is one of the major attractions of the city. The rooms and the services are considered A-class and people who are looking for lavish holidays can stay here. This stunning red sandstone monument is a real wonder to visit and experience its beauty and significance. The exterior and interior attraction of the Fort showcases the striking balance between the art and architecture of the medieval period. 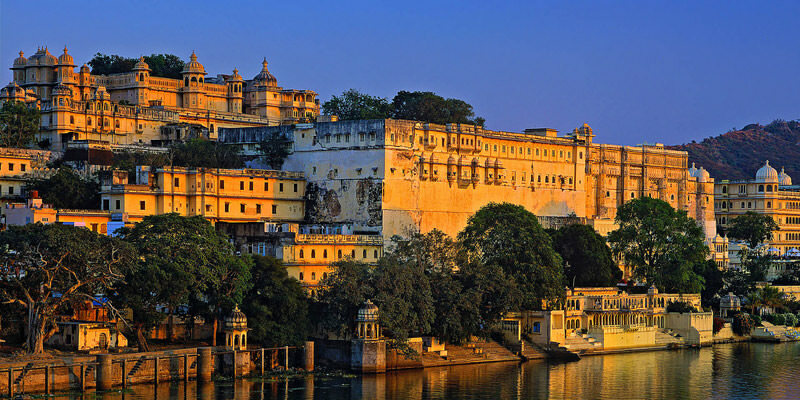 Presently half part of the fort is converted into a heritage hotel and is run by the royal family and private parties and royal hospitality is provided to the guests. This heritage hotel offers suites and rooms which are luxuriously furnished and will take you back to the times of historic eras. 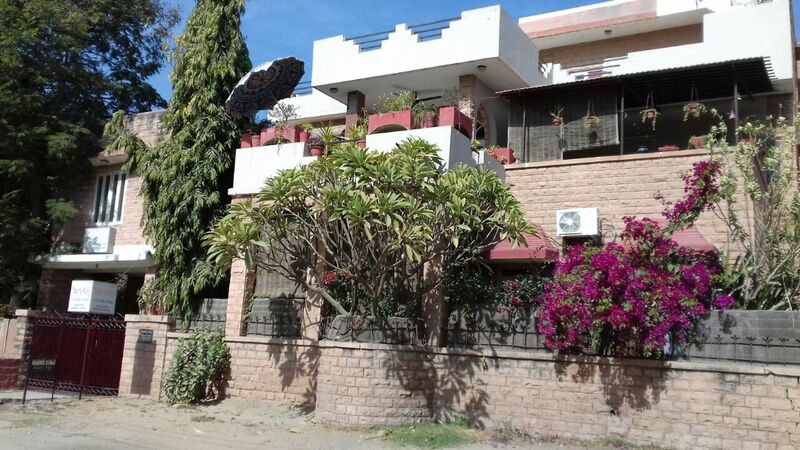 Rooms Facilities: 24hr Front Desk, Air Conditioning, Doctor On Call, Express Laundry, Hot & Cold Running Water, Internet Services, Mini Bars & Coffee Makers, Room Service, Telephone Service. Enjoy some most relishing Indian, Mughlai, Continental, and Rajasthani cuisine in various restaurant at the fort. Guests can relish traditional Rajasthani delicacies that are specially prepared by cooks who have served the royal family through the generations. Restaurant Terrace : This is an open air restaurant located at the fort which used to be the Durbar hall for the royals living here. The Terrace now offers you some amazing lip-smacking cuisines. Marwar Restaurant : It is an indoor restaurant that recreates a royal Indian dining experience with traditional decor. By Road: Khejarla Fort is located at 85 km east of Jodhpur city and only 15 minutes drive from Jodhpur/Jaipur Highway. One can easily reach here by hiring taxi from Jodhpur. By Rail: Fort Khejarla is well connected through nearest Jodhpur Railway station (	82 km) to major cities railway stations like Delhi, Agra, Mumbai, Chennai, Ajmer, Pali, Jaipur, Ahmedabad. By Air: Khejarla Fort can be reach through nearest Jodhpur Airport (77 Km) which is well connected with regular domestic flights to Delhi, Mumbai.